"The Historic Details of the Pontifical Consecration of Russia to the Immaculate Heart of Mary"
Our Lady of Fatima came to spread Devotion to Her Immaculate Heart. She told us to pray the Rosary daily, do penance and to wear the Brown Scapular. On May 13, 1991 the Successor of Gregory XVII consecrated Russia, by name, to the Immaculate Heart, in union with all of the Bishops of the world. Learn the hidden History of the Consecration by the Pope in exile, by clicking this link here. Our Lord to Sr. Lucy of Fatima, August 3, 1931 A.D. (Rianjo, Spain): "They (the Pontiffs) did not wish to heed my request. Like the King of France, they will repent and do it (the consecration of Russia to the Immaculate Heart in union with all the bishops of the world), but it will be late. Russia will have already spread her errors throughout the world, provoking wars, and persecutions of the Church; the Holy Father will have much to suffer." *People are mistaken to think that after the consecration, there'd be "instant peace". We must fight... live the Fatima Message! "... she [The Blessed Virgin] told me that the devil is in the mood for engaging in a decisive battle against the Virgin. And a decisive battle is the final battle where one side will be victorious and the other side will suffer defeat. Hence from now on we must choose sides. Either we are for God or we are for the devil. Pope Gregory XVIII, by consecrating Russia by name to the Immaculate Heart, in union with all of the Bishops of the world, on May 13, 1991, did what Pope(s) Pius XI, and Pius XII, and Gregory XVII did not, do. 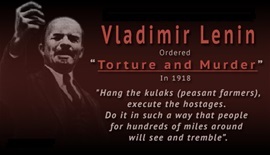 Our current Holy Father, now in exile, began his most difficult reign when Russia (the Jewish Bolshevik Communists) had already, for decades, "spread her errors throughout the world." 1931: August 3 (at Rianjo): Our Lord to Sister Lucy, "They (Popes Pius XI to Gregory XVII) did not wish to heed my request. Like the King of France, they will repent and do it (Pope Gregory XVIII did, on May 13, 1991 in Rome), but it will be late. Russia will have already spread her errors throughout the world, provoking wars, and persecutions of the Church; the Holy Father will have much to suffer." (Louis XIV - did not respond). the Sacred Heart made His request. to ask reparation: sacrifice yourself for this intention and pray." (Pius XI - did not respond). Let us pray for the total conversion of Russia and Triumph of the Immaculate Heart! "Sweet Heart of Mary, be the salvation of Russia, Spain, Portugal, Europe and the whole world. Highly Recommended to recite often, see the: "Seven Prayers the Children of Fatima Received from Heaven". 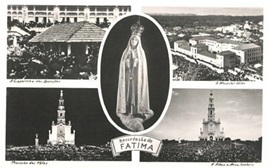 How can we understand the famous sentence, from the Fatima Message: " the dogma of faith will always prevail in Portugal "? Happy Feast of the Most Holy Rosary! Let us pray it to hasten the Triumph of the Immaculate Heart of Mary! We must say these prayers of Fatima very much. Yes, for sure. The seven prayers that the children of Fatima received from heaven, are critical for hastening the Triumph of the Immaculate Heart... true world peace. 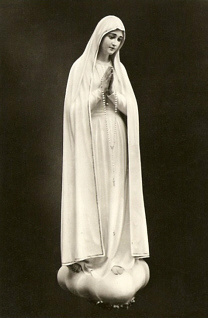 May 13th marks the 100th year Anniversary of the Blessed Virgin Mary's first apparition at Fatima, Portugal (on May 13, 1917). We must be always ready for the upcoming terrible 3 Days of Darkness. May the Lord preserve our Pope Gregory XVIII and give him life, and make him blessed upon the earth, and deliver him not up to the will of his enemies. Amen.